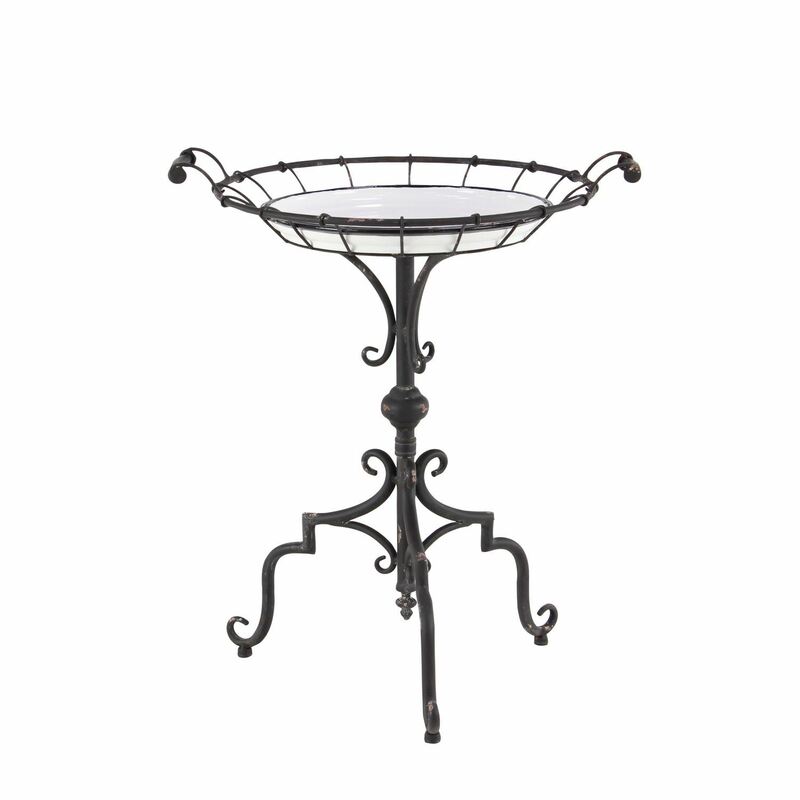 Add some Old World charm to your home with the Round Iron Accent Table by UMA Enterprises. This accent table has a scrolling, distressed iron base that supports a glossy white table top. With two handles on either side of the table top making this table easy to move, it’s the perfect place to set drinks and more during your next party. 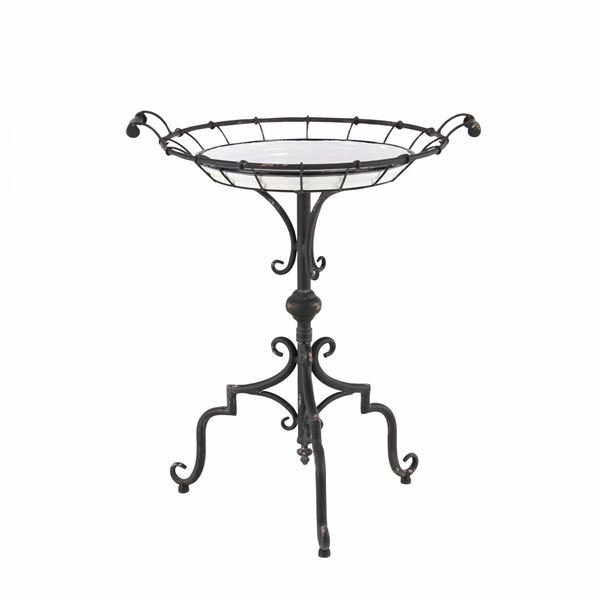 Round Iron Accent Table by UMA Enterprises. Two handles make moving this table easy. 29"h x 24"w x 24"d.